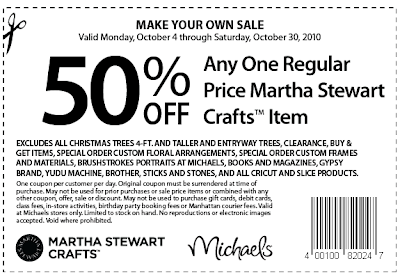 Print this coupon to get 50% off one Martha Stewart craft item at Michael’s. These are usually excluded from the Michael’s coupons, so this is a great deal. Her stuff is really pretty.